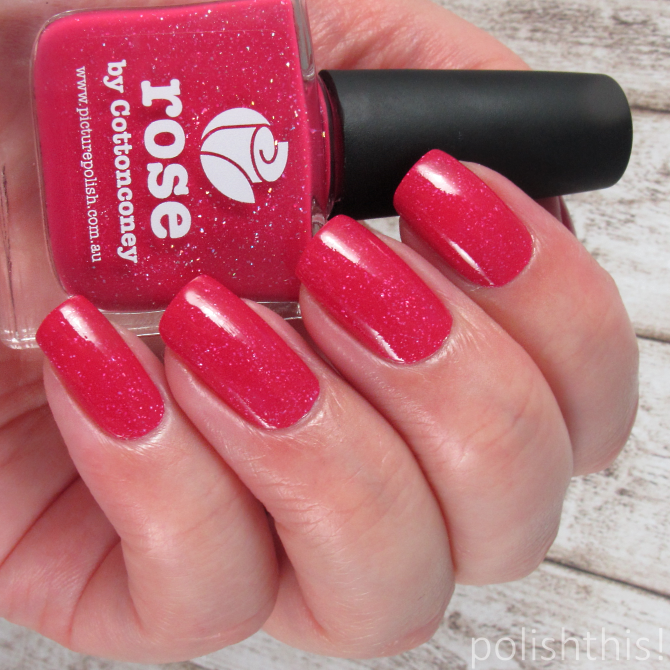 Picture Polish Salt Water and Rose - Swatches and Review - Polish This! 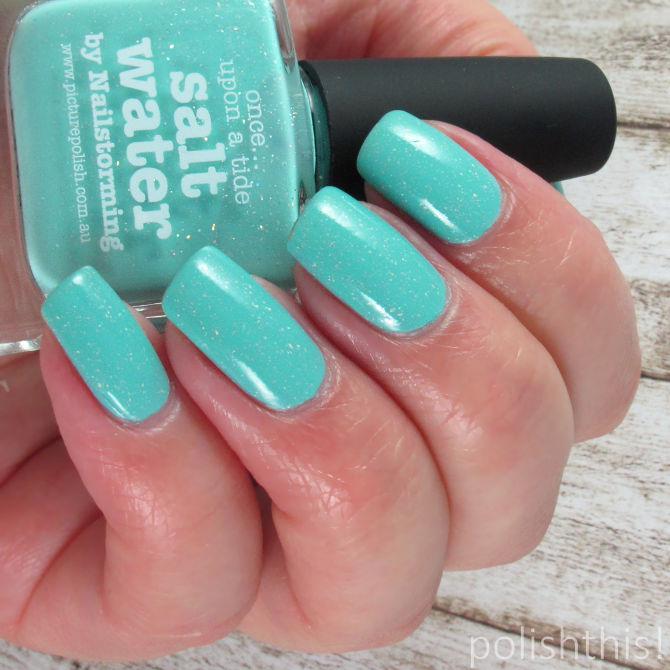 Salt Water was the one I just had to have and it definitely didn't disappoint me when I applied it on my nails. It's a beautiful pastel turquoise with scattered holographic effect. This one was created in collaboration with Nailstorming. Picture Polish has always known how to make the most gorgeous blues, turquoises and greens and this is really no exception. It's such a perfect vivid pastel turquoise color without being too blue or too green, muted or dirty looking. I love it! I used three thin coats with base and top coat in my swatches, but I think you could easily get away with two coats if you just use a tad thicker ones. It applies really like a dream, it's not too thin or thick, it's so easy to work with! Rose is definitely also a beauty. It's a stunning cerise with the signature PP scattered holographic effect. It was created in collaboration with Cottonconey. 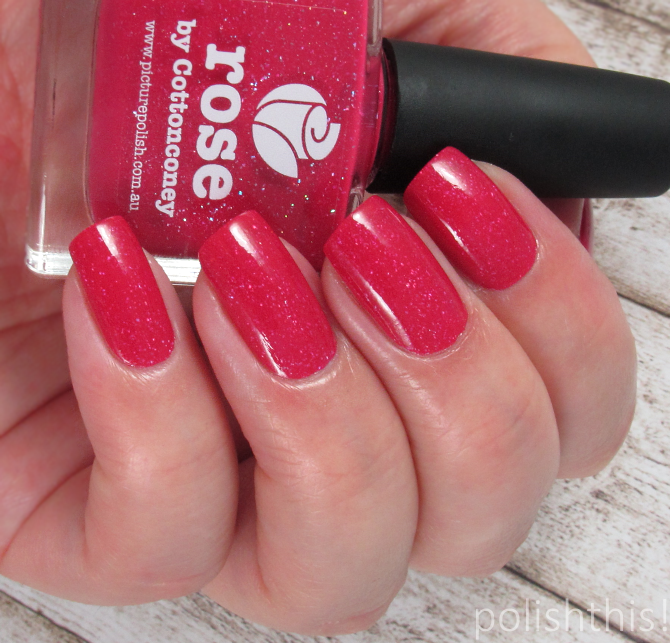 The polish and the name have a beautiful story behind them that makes it even more special. You can read the story here. Don't you guys also just love the beautiful bottle? I know I do. What's also really great about this polish is that it is one coater. Yeah, ONE coater! How awesome is that! I kinda run out of words as I already said that Salt Water was a dream to apply and Rose is even easier to work with. I used one easy-breezy coat with a coat of top coat in my swatches. What did you guys think of the new Picture Polish shades? Did you get any? Beuatiful swatches!! Thank you! I need to check these out!